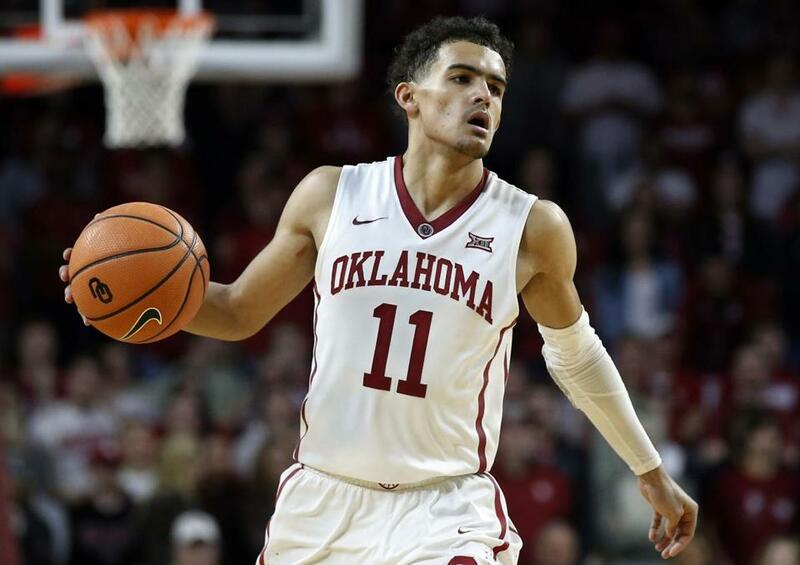 Oklahoma guard Trae Young, who leads the nation in scoring and assists, will be one of the stars to watch in the upcoming NCAA Tournament. It’s hardly breaking news to acknowledge that professional teams are perpetually the center of a sports fan’s attention here in the Hub, especially at a heady time like this when the Patriots, Red Sox, Celtics, and Bruins all are contenders. Boston is a wonderful college city. But it is not much of a college sports city, save for specific storied events such as the Beanpot. This is the time on the sports calendar, however, when college basketball starts to creep into the consciousness of those among us who are usually focused on the pros. Northeastern’s hard-fought overtime loss to Charleston in the Colonial Athletic Association tournament championship game generated some local buzz Tuesday. A day later, Boston College perked up any college basketball fans who were still hibernating with its upset of North Carolina State in the second round of the Atlantic Coast Conference tournament, earning a berth in the quarterfinals. It hasn’t quite reached the level of madness yet. But the conference tournaments do serve as a nice warm-up act for the NCAA Tournament, when the sport truly resonates with a macro audience, even around here. “[The conference tournaments have] great value,’’ said Jay Bilas, who along with Dan Shulman and Allison Williams is calling the ACC tournament for ESPN. “One, they’re an incredible amount of fun. I played in the ACC tournament four years [at Duke in the 1980s]. I was an assistant coach three. I’ve been covering tournaments, including the Big East and the like, for years. They’re awesome. But Bilas, one of the more blunt national analysts in any sport, has no illusions about why conferences prefer to have their own tournaments. “Every conference gets to decide how to give out their automatic bid,” he said. “They can give it to the regular-season champion like the Ivy League used to do, they can have a tournament like most every conference does now, they could arm wrestle for it, have a raffle. It wasn’t the case with the CAA, where Charleston was the No. 1 seed. And it probably won’t be the case once the ACC tournament is complete. But in a couple of tournaments, an underdog has prevailed. Bilas isn’t a huge fan of that outcome, especially in conferences that have just a single bid, since it devalues the regular season and sends a team to the NCAA Tournament that is probably going to be overmatched. One player who captured the attention of even the casual fan this season is Oklahoma freshman guard Trae Young. But after a phenomenal start, the sharpshooter struggled with inconsistency as opponents learned his strengths and weaknesses. Bilas said he remains a big believer in Young despite the slump. “Trae Young is a great player,” said Bilas. “He has had one of the great years in the country, really in basketball if you look back. He’s done something that nobody’s ever done since they’ve been keeping these stats. He’s leading the nation in scoring and assists in the same year. “For those that wanted him to be Steph Curry, at his best every night, Steph Curry wasn’t Steph Curry every night when he was in college. People seem to forget this. When Steph Curry was at Davidson, he did not go to the tournament his junior year. Steph Curry, his last year in college basketball, did not lead his team to the tournament.